The logo is supposed to be the Golden Gate Bridge, in San FranCISCO. 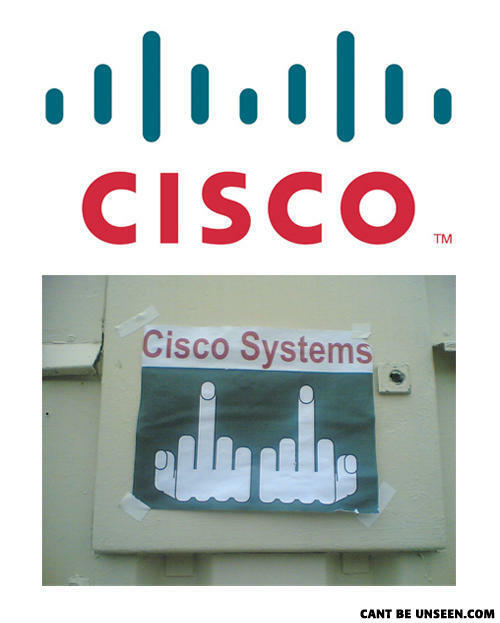 Cisco is missing a finger. I'm givin' ya both fingers... AT FULL FORCE! How did they not notice this. What happens when your read this?